Often people experience fatigue as a result of daily activities, but none of them took the initiative to restore their fitness through fitness message. The youth of Karang Taruna in Ngulankulon Village and Ngulanwetan Village, Pogalan District, Trenggalek Regency has strong potential to develop skills in the field of fitness message. The young people who are members of Karang Taruna members are dominated by people who are not economically productive. Most young people experience dependence on smartphones. Young people have not been able to use smartphones for positive activities. Therefore, empowerment is needed for youths of Ngulankulon Village and Ngulanwetan Village to develop communities that can be independent in the health sector, so that they can make a real contribution to the development of integrated fitness massage skills by applying science and technology towards positive things in community life. Empowerment is implemented in the form of Android-based fitness massage training. The method applied is Participatory Learning and Action (PLA). This method succeeded in increasing knowledge and fitness massage skills for trainees. The results of the pretest showed the participants' level of understanding was 66%, while after taking part in the training and mentoring, posttest was conducted with the result of an understanding level of 89%. The data shows an increase in fitness massage skills for youth youth. Ananto, D. P. (2017). Pengaruh Massage Teknik Effleurage terhadap Tekanan Darah pada Penderita Hipertensi di Desa Kalirejo Kabupaten Purworejo. Universitas Negeri Yogyakarta. Arovah, N. I. (2011). Masase dan Prestasi Atlet. Retrieved from http://staffnew.uny.ac.id/upload/132300162/penelitian/4.+Masase+dan+Prestasi+Atlet.pdf. Best, T. M., & R. Hunter, A. (2008). Effectiveness of sport massage for recovery of skeletal muscle from strenuous exercise. Clinical Journal of Sport Medicine, 18(5), 446. Departemen Pendidikan dan Kebudayaan. 2008. Sport Massage. Jakarta :Proyek Pembinaan dan Pengembangan Prasarana dan Sarana. Direktorat Jenderal Pendidikan Luar Sekolah., Pemuda dan Olahraga. Ilmi, M. A., Purwanto, B., & Tinduh, D. (2018). Pengaruh Manipulasi Sport Massage Terhadap Intensitas Nyeri Setelah Aktivitas Eksentrik. 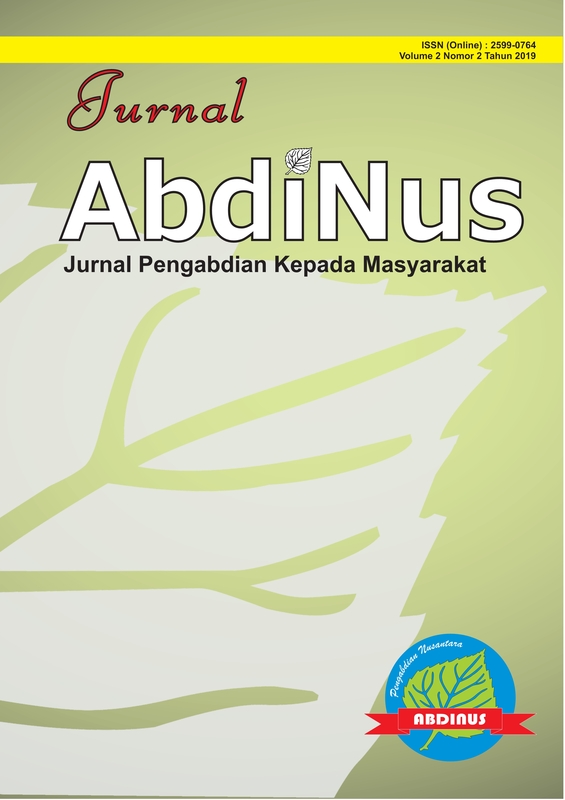 Jurnal Biosains Pascasarjana, 20(2). Joesoef, Roepajadi. (2011). Massage Olahraga. FIK UNESA Surabaya. Junaidi, S., Hanief, Y. N., Rizky, M. Y., Zawawi, M. A., Firdaus, M., Burstiando, R., … Weda, W. (2017). PELATIHAN MASSAGE KEBUGARAN SEBAGAI MEDIA UNTUK TARUNA DI DESA NGULANKULON KABUPATEN TRENGGALEK. Jurnal ABDINUS, 1(1), 39–44. Lawrence, Baloti. D., dkk. 1983. Massagework, A Practical Encyclopedia of Massage Techniques. New York : ThePutman Publishing., Medison Avenue. Nugraha, A. S., Wijanarko, B. & Riyadi, S. (2010). Massage Terapi Cedera Olahraga. Surakarta : Yuma Pustaka. Purnomo, T. N. (2015). Perubahan Kadar Laktat Darah Akibat Manipulasi Sport Massage pada Latihan Anaerob. Journal Physical Education and Sports, 4(2): 141-146. Wijanarko, B. & Riyadi, S. (2010). Sport Massage. Surakarta : Yuma Pustaka. PURNOMO, Ardhi Mardiyanto Indra; HANIEF, Yulingga Nanda; PAMUNGKAS, Danar Putra. Pemberdayaan Pemuda Karang Taruna Melalui Pemanfaatan Keterampilan Massage Kebugaran Berbasis Aplikasi Android. Jurnal ABDINUS : Jurnal Pengabdian Nusantara, [S.l. ], v. 2, n. 2, p. 169-180, jan. 2019. ISSN 2599-0764. Available at: <http://ojs.unpkediri.ac.id/index.php/PPM/article/view/12565>. Date accessed: 24 apr. 2019. doi: https://doi.org/10.29407/ja.v2i2.12565.